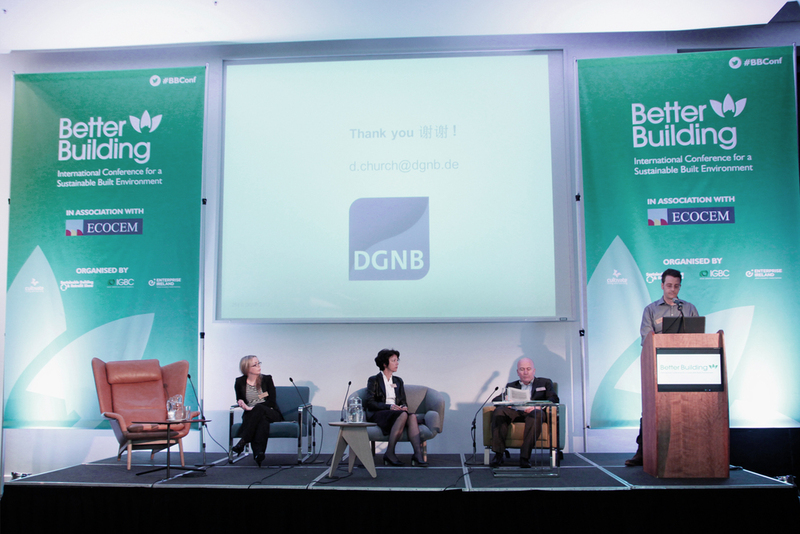 Better Building — Danielle Townsend Design Graphic Design and Brand Identity Design Dublin, Danielle Townsend Design is a Graphic Design and Visual Thinking agency based in Dublin. 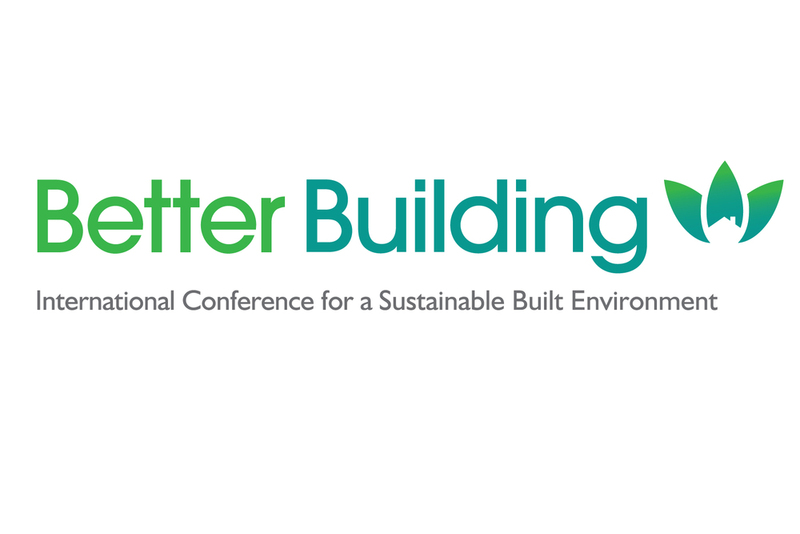 The Better Building Conference is an international conference promoting sustainable built environments. 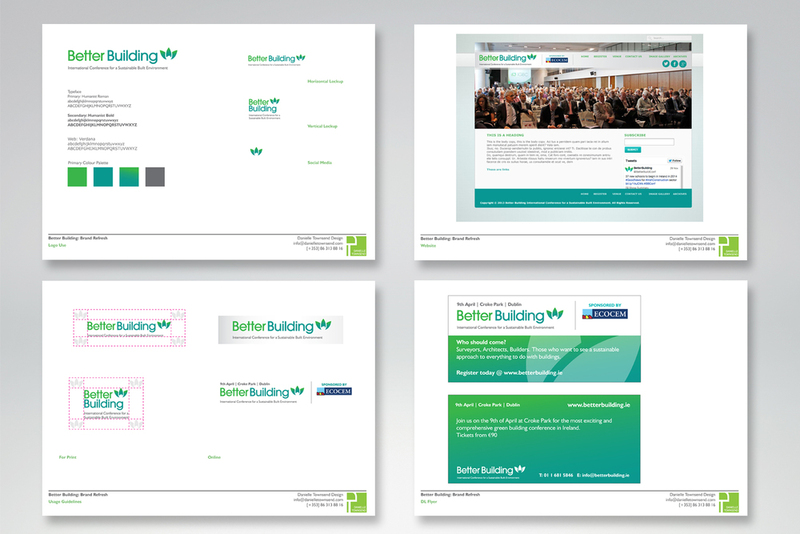 The existing branding needed to be refreshed to reflect the approach of the organisation, who are forward thinking and heavily involved on developing the sector. The colour palette was updated to reflect the new image of the organisation. The typographic treatment was further resolved - while maintain the existing integrity of the brand. 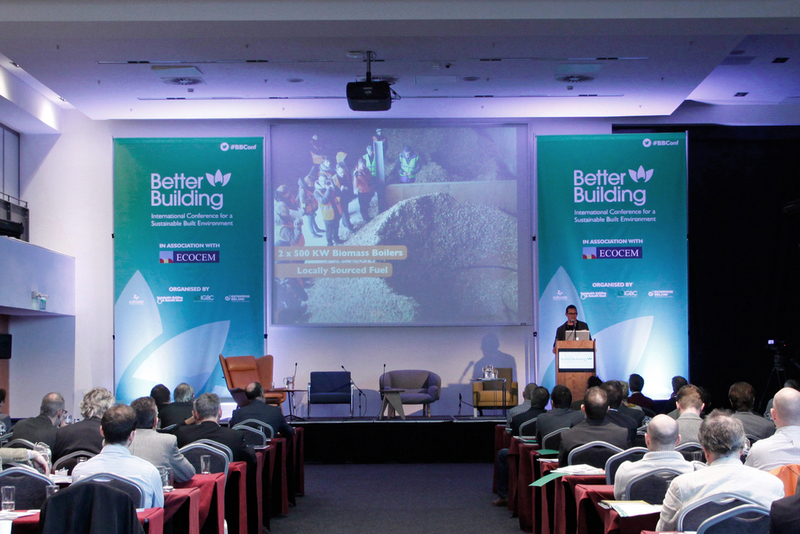 Brand guidelines were developed for the roll out of the brand refresh and Conference banners, signage and marketing material was also produced for the event in April 2014. Photos courtesy of Goska Smierzchlska.